I love comics. I love superhero comics especially. But mainstream superhero comics also disappoint me greatly and with alarming regularity. More so than any other medium that I enjoy, comics have regularly broken my heart. Usually this heartbreak stems from following characters rather than creators. Mainstream comics, unlike most other mediums I adore (books, films, music) have a vastness and a fluidity to who creates and/or maintains a certain character. If you love Harry Potter as a fictional character, you have little to fear, because J.K. Rowling is always going to be his author. He will always be in her good hands because not only does she love him as you do, but she is absolutely in charge of his destiny. In fact, as his creator she has a vision for him. And she executes that vision with precision and care. But if you love, say, Spider-Man, watch out. Spider-Man is not owned by a person, but by a corporation and he is more valuable as an IP than as a character that will have stories written about him in comics. Spider-Man is assured to have a cadre of editors, writers, and artists hands on him throughout the years. If you had told me that I would ever be interested in Rob Liefeld’s Glory property from the 90’s, I would have punched you in the face. But I would have been very wrong. 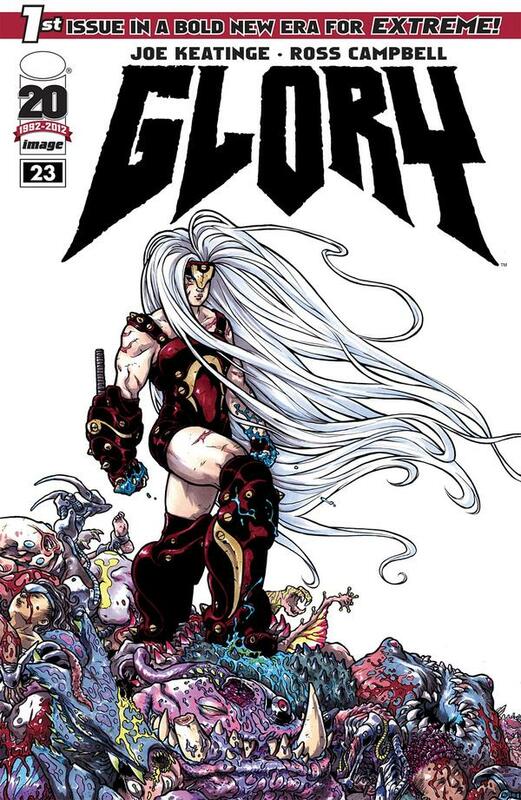 One in a series of incredibly well considered reboots of old 90’s Extreme Studios properties, Image Comics picked Ross Campbell, an independent artist known for his strong portrayals of female characters, as the artist for their “re-launched” Glory comic. By picking Campbell, Image sent a strong message that they were truly re-inventing the property. Campbell’s art is almost the antithesis of the cheesecake 90’s exploitation art that plagued Glory, and so what emerged visually was an impressive warrior that not only subverted what Glory had been, but that was miles ahead of what most other mainstream female superheroes still look like today. Insanely tall and muscled, powerfully built, and dressed in armor not intended to be sexually provocative, the new visuals for Glory are modern and utterly refreshing. And thus through Ross Campbell, I suddenly found myself a Glory fan. Glory is on shelves now from Image. Issues #23, #24, and #25 have already been released and issue #26 is forthcoming in May 2012. I have no interest in Conan. Unless we’re talking about the talk show host. I enjoy the Schwarzenegger movies, mostly for nostalgia factor…and Grace Jones (naturally), but short of that, I have never had any interest in reading a Conan story, comic or otherwise. However, Brian Wood and Becky Cloonan have, quite frankly, never let me down as creators (see the exceptional Demo), and so I felt obligated to check out their take on Conan The Barbarian. And thank goodness I did. The result, three issues in, is a fantastic story about a young Conan finding his way, and the beginnings of his startling relationship with a dangerous but intoxicating woman called Belit "Queen of the Black Coast." Full of epic battles, stunning visuals, and great character moments, the book has quickly become one of my favorites. 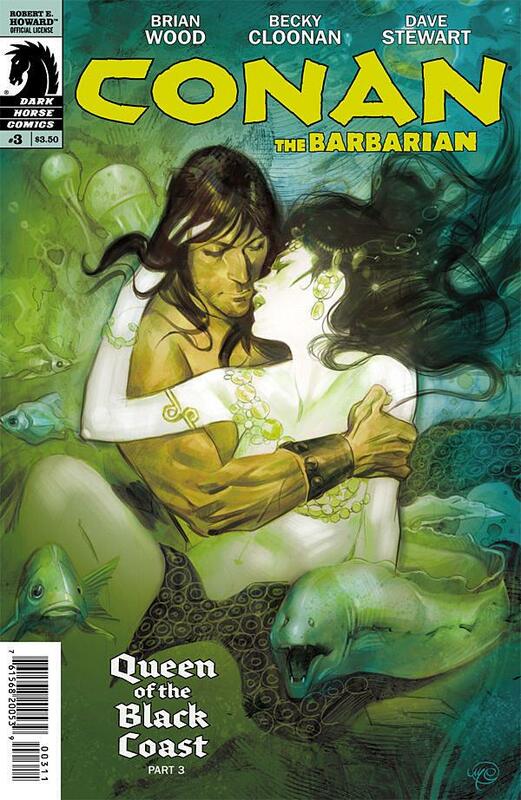 Conan The Barbarian is on shelves now from Dark Horse. Issues #1 - #3 have been released, and #4 is forthcoming in May. Wolverine is easily one of the most over-exposed characters in all of superhero comics as far as I’m concerned, so he’s not a character I search out, and I frequently groan when being force-fed Wolverine stories. Combine him with Jubilee, a character I’ve never quite connected to that has recently become a vampire (double groan), and my interest in this was hovering right around zero. But when I realized that Kathryn Immonen of Moving Pictures (among other things) was writing it, I had to give it a second look. Add to that the sublime art of Phil Noto, and I knew this book would not disappoint me. They proved the perfect pairing with an incredibly smart and subtle mini-series that at its core was character driven and insightful. It also gets bonus points for frequently being hilarious. It's no small feat to take an already over-exposed A-lister, pair him with a character that's fallen into a popular cliché, and end up with a moving and entertaining story about people. 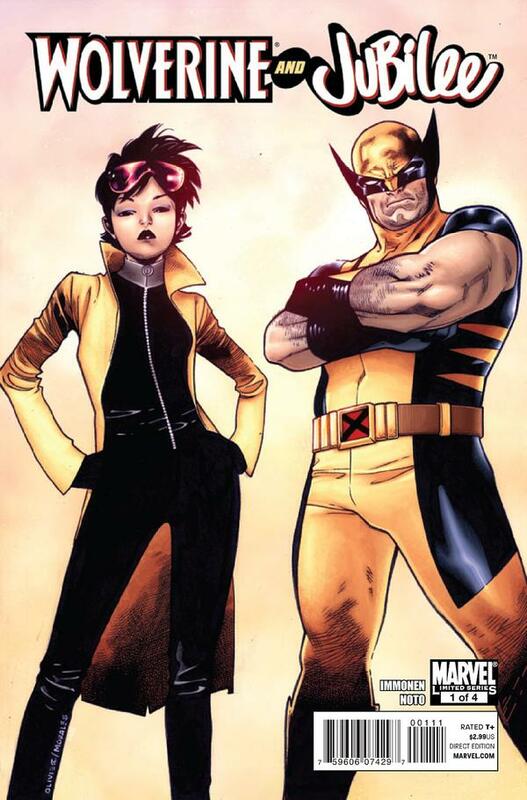 Wolverine & Jubilee is out in trade now from Marvel Comics. I’ve never been a Spider-Man fan. Chalk it up to too many confusing books going on at one time (Amazing Spider-Man, Avenging Spider-Man, adjective-less Spider-Man, Ultimate Spider-Man, etc.) but I could just never keep up. As a result I found myself, though deep in superhero comics, having read only a few issues of any kind of Spider-Man. 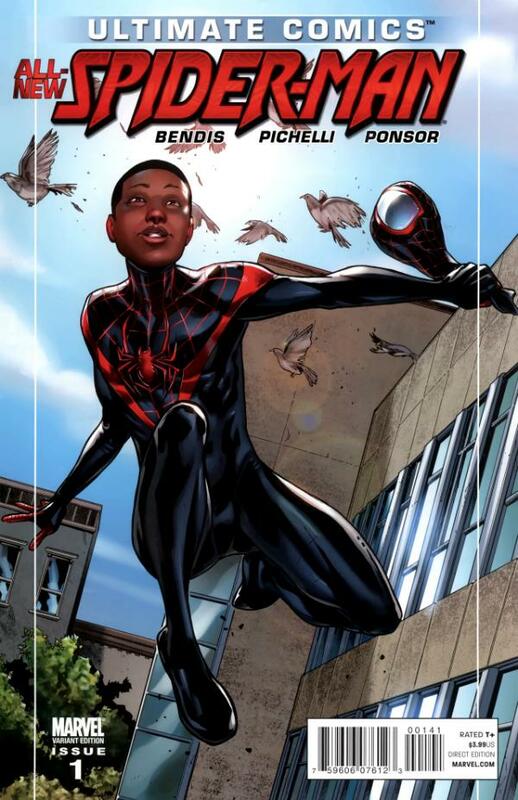 But when the new Miles Morales version of Spider-Man by creators Brian Michael Bendis and Sara Pichelli was announced, it seemed like a good time to get on. Though some feel Bendis' stories move too slowly, I generally like the leisurely pace, and everything I had seen from Pichelli was wonderful. The first issue blew my mind and the book simply has not stopped being excellent. Ultimate Spider-Man is quite simply one of the finest superhero origin comic books I’ve ever had the pleasure of reading. Perfectly pitched, exquisitely drawn, and emotionally resonant, this book is so good it sits at the top of my reading pile every month. Ultimate Spider-Man is on shelves now from Marvel. Issues #1 - #9 have been released, and #10 is forthcoming in May. Additionally, you can buy the first 6 issues of the series in trade. The Avengers as a concept are hit and miss for me, as I was raised more on the X-Men, but Warren Ellis is almost always a hit. I find his writing smart and funny, and frequently right in the sweet spot of what I like, no matter what characters he decides to tackle. When I saw he was doing a 6-issue run on Secret Avengers, each issue with a different amazing A-list artist on board, I knew I would have to check it out. And I was rewarded with four or five of the best single-issue superhero comics I’ve read in a very long time. Each story stood alone beautifully, but they all tied together thematically in a way that made it clear they absolutely belonged together. The artists, everyone one of them creators worth following, delivered powerful, gorgeous visuals and nearly flawless storytelling. Secret Avengers #16 - #21 defines the perfect comics creator collaboration, repeated six times. And that is incredibly impressive. 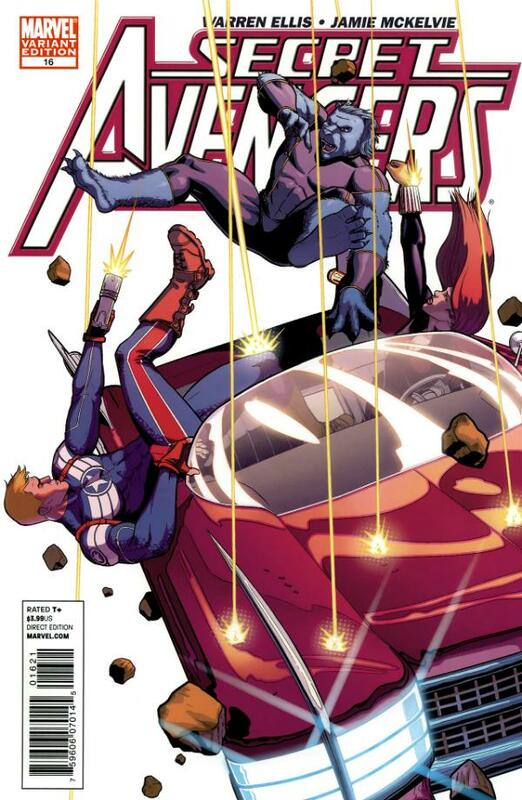 Secret Avengers #16 - #21 are available now collected into a hardcover trade from Marvel Comics. I read the DV8 series in the 90's, but never really fell in love with the characters. They felt exploitative and too exaggerated (which in fairness is part of what they were about). However, as mentioned, I trust Brian Wood implicitly, and one of my favorite things to see him do in comics is re-invent superheroes in a less traditional way. Wood's superheroes tend to be people first and superheroes second, and it's a mix that really serves character development well. His take on DV8 in the Gods & Monsters mini-series had me excited from go, but when I realized that fantastic rising star Rebekah Isaacs was doing the art, I was over the moon. Add in covers by another incredible then rising star, Fiona Staples (now drawing Saga), and this was an obvious purchase for me. I was not disappointed, and it was easily one of the best books I read in 2010. It is essentially the story of 8 “superhero/anti-heroes” dropped on a relatively uncivilized planet and left to their own devices, Wood explores how each character takes to the situation, and the good and bad it brings out in each of them. Inspired by Kipling’s The Man Who Would Be King, the story is a wonderful character piece that also flawlessly integrates plenty of epic battles. Now that DV8: Gods & Monsters is collected in trade, I urge everyone to pick it up. Don’t be led astray by the bizarrely inaccurate cover DC slapped on it, the insides contain a far more nuanced and interesting tale than the cover implies. 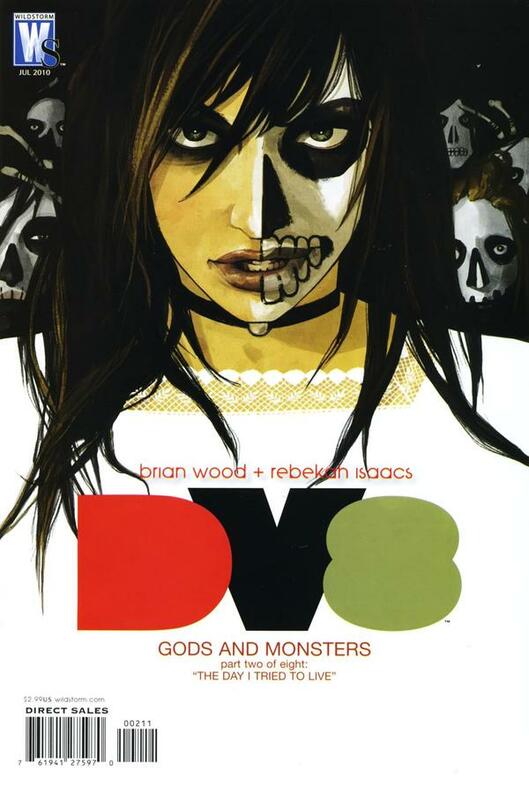 DV8: Gods & Monsters is out in trade now from Wildstorm/DC. I pair these extremely different books together because of the one common denominator they share – an embarrassment of creative talent. 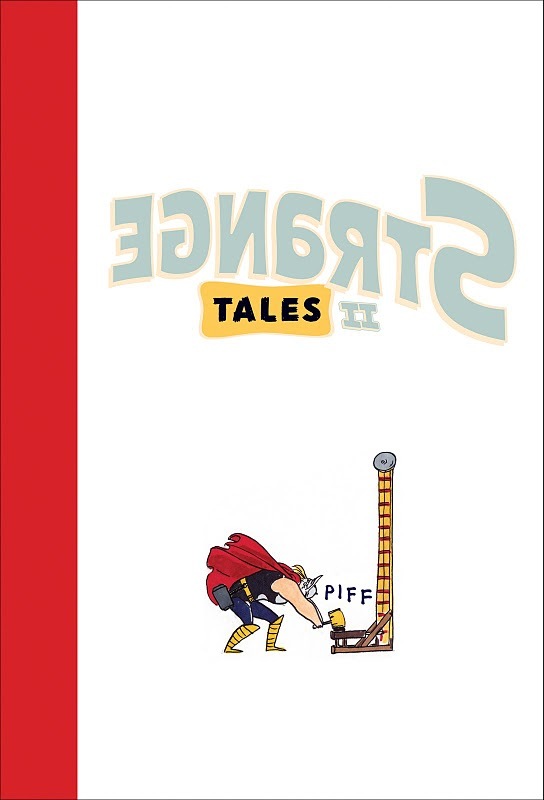 Strange Tales II is a collection, originally a three-issue limited series from 2010, of short stories by some of the best indie comics creators and cartoonists in the business. With everyone from Kate Beaton to Dash Shaw taking a crack at Marvel’s superheroes, this book is wall-to-wall creativity and fun. Collected into a gorgeous hardcover edition in 2011, it’s 144 pages of awesome. Creators you’ll find inside: Jeffrey Brown, Jillian Tamaki, Dean Haspiel, Terry Moore, James Stokoe, Gilbert Hernandez, Farel Dalrymple, Rafael Grampa, Harvey Pekar, Paul Hornschemeier, Ty Templeton, Jeff Lemire, Shannon Wheeler, Gene Yang, Nicholas Gurewitch, Frank Santoro, Kevin Huizenga, and many more. Wednesday Comics was a beautiful experiment orchestrated by the brilliant Mark Chiarello, bringing together a handful of the best creators in comics and basically letting them do whatever they wanted. The result is some of the most fun comics reading I’ve ever had. Originally released in awesome oversized newsprint editions in the summer of 2010, the collected edition is an oversized hardcover masterpiece of superhero comics. Creators you’ll find inside: Neil Gaiman, Paul Pope, Brian Azzarello, Michael Allred, Kurt Busiek, Kyle Baker, Dave Gibbons, Ryan Sook, Amanda Conner, Jimmy Palmiotti, Ben Caldwell, and many more. You can find both Marvel Strange Tales II from Marvel & Wednesday Comics from DC in collected hardcover formats. So those are just a few of my favorite stories and books that I’ve been exposed to in the last few years since I started making sure to follow creators rather than characters and publishers. What about you? 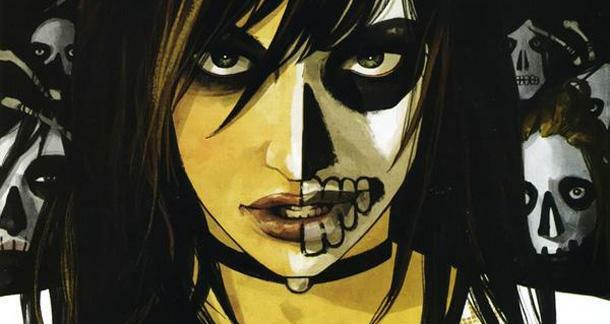 Has following a creator led you to something wonderful…in or out of comics? Has it ever steered you wrong? *Also absolutely worth mention are Greg Rucka and Matthew Southworth’s Stumptown and Brian K. Vaughan and Fiona Staples’ Saga but since I’ve talked about both of them already (here and here) I won’t devote the inches to them again (though they are well deserved inches)! I don't really read comic books, but this definitely holds true for me in books, music, and film. Especially film. I see most movies based on director. Bendis and Oeming's POWERS is a great crime noir set in a world where superheroes exist. The first collection WHO KILLED RETRO GIRL got me hooked. Another fun twist on the genre is THE UMBRELLA ACADEMY by Gerard Way and Gabriel Ba. You've got to give Scalped by Jason Aaron and RM Guera a chance. It's a down and dirty gritty noir tale set on a modern day Indian Res. The series ends next month with issue twenty but it is all available in trades.